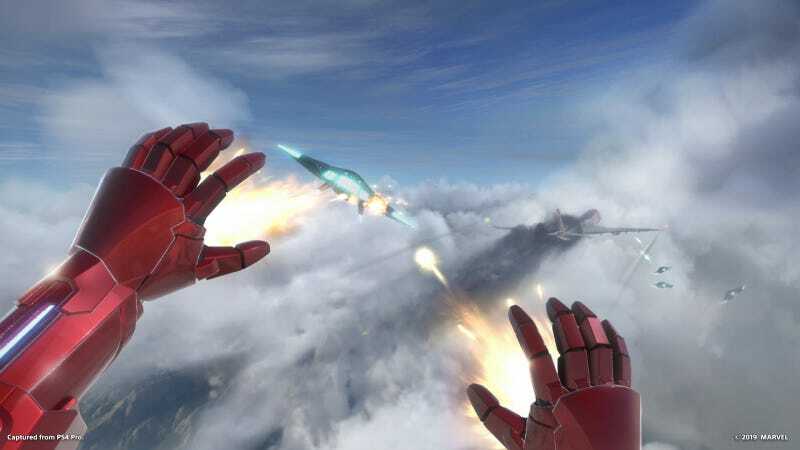 Iron Man VR may be a grander thing. If Payton’s ambitions pay off, it could be a marquee game for PlayStation’s VR platform. It has been in development for two-and-a-half years at Camouflaj, the Bellevue, Washington studio founded by Payton, who previously worked on Halo and Metal Gear Solid. The game was born, Payton said, in a meeting at a hotel near E3 in 2016 after the announcement of Spider-Man for PS4. The head of Marvel’s gaming division was looking for VR games, Payton learned, and so he pitched them Iron Man. In New York this week, I played a slice of what Camouflaj is building. The PS4 exclusive is VR-only and requires both the headset and two PlayStation Move motion controllers. Once a player puts them on, they’re Iron Man, viewing the world in first-person as if they’re Tony Stark. 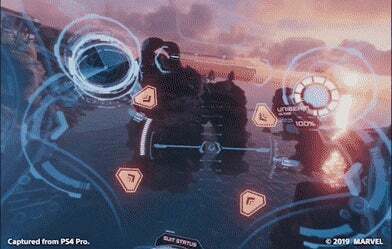 When I looked down in VR at the start of the demo, I saw Iron Man’s arc reactor. Those Move controllers in my hands worked as Iron Man’s repulsors. If I pointed my palms at the ground and pressed a button, I flew up. If I tilted for my hands to point behind me, I flew forward. At the start of the demo I was flying off the cost of Malibu, getting in some flight training and some target practice. Point your palm toward a target, press a button and you shoot a blast from your Iron-Man-gloved hand. Hold a button to lock, then swing your arm and you’ll fly toward a target and punch it. The shooting and punching immediately felt good. The flying was tricky. It took me some time to figure out I should fly with one hand at my side and shoot with my other arm extended. The game sports 360 degrees of motion, meaning you can turn around as you fly, though I found myself tripping over the PSVR’s headset wire and enjoying this part of the demo the least. In the demo’s next scene I was aboard a private jet, sitting in a chair as Tony Stark while an artificial intelligence called Friday briefed me. Pepper Potts walked in to complain about some Stark Industries business. Soon, our plane was under attack and the suitcase in front of me—that contained my Iron Man armor—was flying out of the jet’s torn fuselage. I flew out after it and, piece by plummeting piece, suited up. This section was less free-flowing than the first part of the demo. 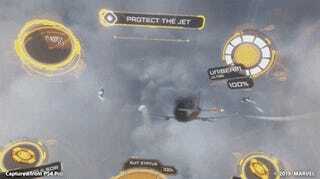 I didn’t feel quite as free to fly anywhere, but that was fine, because as the game kept me aloft I was able to focus on shooting at dozens of drone enemies swarming the plane. I was then able to fly toward the plane and, reaching my hands forward, help bend part of the its wings back into shape and yank open the doors to the landing gear. I felt like a super-hero, like I really was in an Iron Man suit. Not bad. As this is a VR game, I should note a few things: It was comfortable to play and didn’t make me feel nauseous throughout the 20-minute demo. It allows for smooth rotational movement, which can trigger nausea in some players, but also allows for more stuttered, segmented turning movements, which tend to stave off motion sickness. The biggest hitch was the wire connecting the headset to the console sometimes getting in the way. The controls felt fine and the Move controllers kept up with what I was doing.